Big Broad in Co-Production with the Belgrade Theatre, Coventry, present Crush. Crush premiered at the Belgrade Theatre Coventry from 4th – 19th September 2015, followed by a short tour to the Theatre Royal, Brighton (22nd – 26th September) and then on to Richmond Theatre (29th September – 3rd October). A sizzling new musical comedy from Maureen Chadwick (creator and writer of hit TV dramas Waterloo Road, Footballers’ Wives and Bad Girls), with music and lyrics by Kath Gotts (Bad Girls The Musical and The Realness), directed by Anna Linstrum (High Society, Sound of Music and Spend, Spend, Spend). Crush is set in a 1960s boarding school with a proud tradition of free expression – but when a deeply conservative new Headmistress imposes sweeping reforms, replacing the school motto ‘Do what you do well’ with ‘Learn or depart’, it’s time for the Upper Sixth to follow in the footsteps of their Suffragette founder and prove that rebel spirits can’t be crushed. 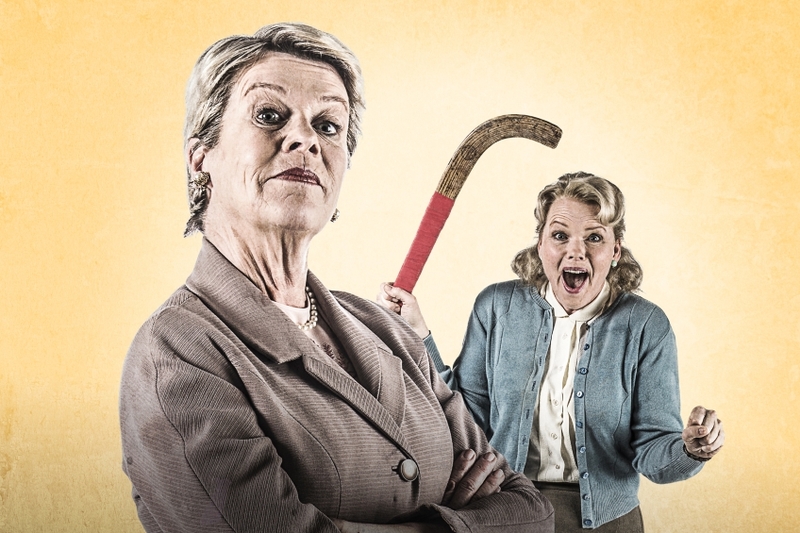 This battle for the soul of the school gives a new twist to Mallory Towers and The Girl’s Own Annual, and invites young hearts of all ages to run free in a fight to the finish – with hockey sticks to the fore, toe-tapping tunes, witty lyrics and soaring ballads. Find more info here and watch the EPK below!